Opel Adam production in Eisenach. FRANKFURT -- The future of Opel's Eisenach factory in Germany is uncertain after shop stewards rejected wage concessions demanded by Opel owner PSA Group in exchange for a commitment to invest in a production line for a new model there. Management met on Friday with the works council and labor union IG Metall to discuss proposals from PSA after German sites were excluded from a sweeping investment plan. PSA completed a $2.6 billion takeover of Opel last year as General Motors sold off its money-losing European operations, but CEO Carlos Tavares has been frustrated in his bid to cut high production costs. Both sides exchanged blame for the lack of agreement. "This is very disappointing," Opel CEO Michael Lohscheller said in a letter to staff. Lohscheller said labor representatives did not offer any concrete proposal on how to reach productivity targets at the Eisenach plant, one of its three main German sites, which employs 1,800 workers. The labor side rejected management's demand for wage concessions such as delaying the 4.3 percent pay rise agreed in collective bargaining for the industry, due at the end of April. "Contracts must be observed and we demand that from Opel as well," Joerg Koehlinger, an IG Metall regional director said in a statement on Monday. The failed talks on Friday prompted PSA to put a decision on hold to produce a new "electrifiable" vehicle at the plant, Lohscheller said. A person familiar with the matter identified the planned vehicle as the Grandland SUV model. "Unfortunately, the conditions for investment approval were not completely met because last Friday's meeting with our social partners did not deliver the required outcome," Lohscheller said, adding that both parties agreed to continue the talks. 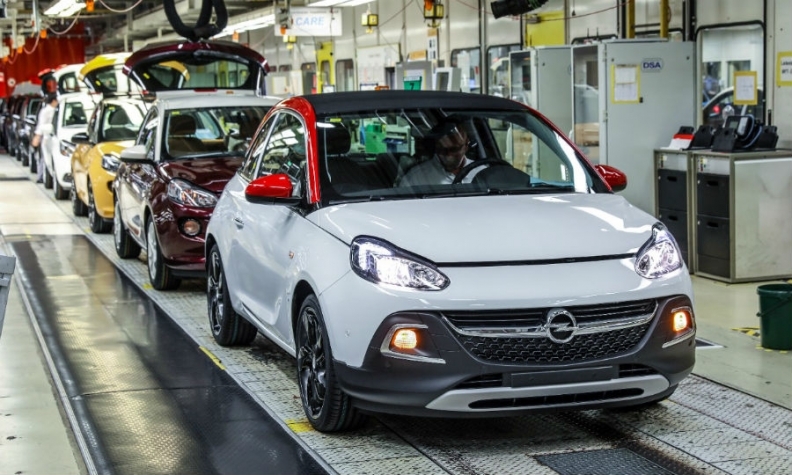 Opel builds the Adam minicar and Corsa subcompact in Eisenach, according to Automotive News Europe's Guide to European Assembly Plants. Corsa production is due to move to Zaragoza, Spain, next year and be replaced by the successor to the Mokka SUV.